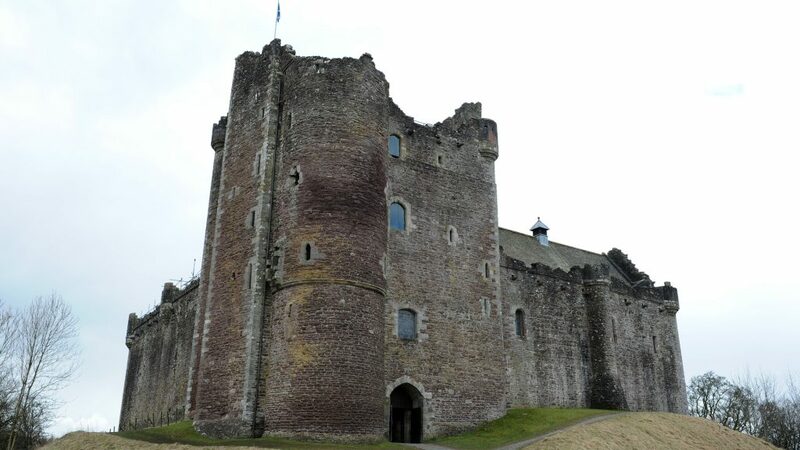 The formidable Doune Castle was built for the Regent Albany. The striking keep-gatehouse combines domestic quarters including the splendid Lord’s Hall with its carved oak screen, musicians’ gallery and double fireplace. This was used as a film location for the BBC production of Ivanhoe and Monty Python and the Holy Grail.